To be both garden-worthy and a good investment, a plant needs more than a pretty face. Show me a plant with good colour and form and a tag that reads "Dependable, self-sufficient, trouble-free, several seasons of interest, and long-lived," and chances are I'll make room in the garden. Sound impossible? Old-fashioned peonies fit the bill. While your grandmother may not have been a gardener, I'll bet she knew a simple peony division, planted in decent soil and in a sunny location, would bloom for generations. Peony divisions were routinely given to family members when they moved away - the roots were planted in distant gardens as a reminder of home. In Gardening with Heirloom Plants, David Stuart notes the common herbaceous peony, Paeonia lactiflora, grew in China by 1100 AD. One 16th-century nursery was known to have stocked 30 plants. Europeans crossed P. lactiflora with P. officinalis and by the 1850s, there were endless gorgeous flowers, like the double white peony, Festiva Maxima (dating to 1851) which is still sold today. 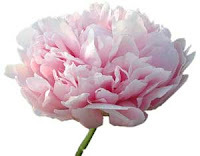 Peonies have thick, fleshy roots that will eventually stretch deep into the ground. For best results, plant them in a spot with deep, well-drained, humus-rich soil. Choose their site carefully, peonies resent being moved - I once killed a perfectly content tree peony by moving it, on a whim, to a different spot in the garden. Peonies can take a year or two to settle in before blooming. If you want instant colour (and less fuss) purchase potted peonies already in bloom from your local garden centre in the spring. Alternately, with patience, you can start the plants yourself, either from divisions from a friends' garden or by purchasing rhizomes. The best time to plant rhizomes (or to divide peonies) is in the fall. Resembling a sweet potato with tuberous roots, peony rhizomes should have at least two or threwe swollen buds on the tuber. Plant the rhizome with the roots pointing downward, setting the buds four to five centimetres below the soil. Do not cover the buds with more than 7.5 cm of soil or the plants will not bloom. This also applies to container-grown peonies, which should be set in the ground at the same level they were growing in their pot. Old time gardeners describe peony stems that do not flower as "coming up blind." If your plants do not bloom after several years, they may be planted too deep. The problem can sometimes be solved by digging up the rhizomes and setting them at their preferred soil depth, where they will normally bloom the following spring. Double-flowering peonies need staking. During spring rainfall - and it always rains when the peonies are out - the petals soak up water like a sponge. Without fail, the waterlogged flowers flop unceremoniously on their neighbours, or even worse, collapse over the edge of their supports. It's not pretty, but it does give you a good excuse to cut the flowers and enjoy them inside. 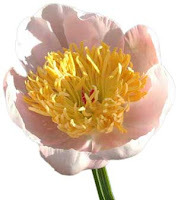 To prevent disappointment and save on the bother of staking peonies, I recommend trying the single-flowered varieties. While individual peonies only bloom for about three weeks, you can enjoy peony flowers over a long period by choosing early, mid-season, and late bloomers for your garden (see sidebar). They make wonderful cut flowers. Peonies die right back to the ground over the winter, leaving an opening that is ideal for early spring bulbs such as crocus, grape hyacinth, mini-daffodils and species tulips (all easy-care choices) in your border. Remove all dead leaves in the fall to help prevent disease problems. Good companion plants include lady's mantle perennial geraniums, foxglove and old-fashioned roses. Include plantings of autumn-blooming monkshood and Japanese anemone to make the most of the beautiful fall foliage on the peonies. WORRIED ABOUT ANTS? To make sure cut peonies are ant-free, cut the flowers just as the buds start to open. Plunge the stems, bud and all, in a bucket of water for a few minutes and gently shake dry. Place the flowers in a large vase indoors to open. To extend their season, cut peony stems can be stored in the fridge for several weeks before bringing them into a warm room to open. The blanket of tree peonies that covers John Tai's front and back gardens does more than beautify his property. 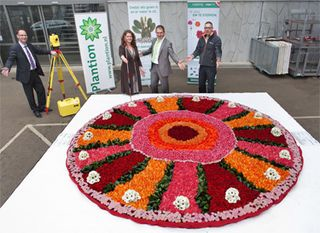 He credits his obsession with these colourful flowers with helping him control depression. Describing himself as “the original Wild Man of Borneo,” John was born in the Malaysian state of Sabah (formerly British North Borneo) 80 years ago. He immigrated to Canada from Singapore in 1972. John had suffered from bouts of depression for most of his adult life. Back in the early 1950s, while he was visiting Singapore, a Roman Catholic priest suggested John take up a hobby to combat the depression and a Belgian bishop recommended gardening. In 1993, during a particularly bad time-“I was drinking too much, out of a job and beginning to lose myself,” the former cook and waiter recalls-John came across an article about a huge tree peony festival held in Luoyang, in Henan Province, in China Pictoral magazine. 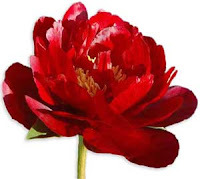 Looking at pictures of a red-and-white-coloured peony called ‘Eriqiao' (‘Twin Beauty' is the English name), something clicked and he remembered the advice of his old friends. “I pray for [my advisors] almost every night,” he says, because growing tree peonies has given him a new lease on life. A few years ago, John got to visit Luoyang in late April-peony season, when more than one million peonies, including 500 cultivars, bloom. John didn't know where to purchase Chinese tree peonies when he started out, so he bought four Japanese ones from a local supermarket in the west end of Toronto. He continued to acquire more Japanese cultivars each year and was finally able to obtain three Chinese tree peonies from the West Coast through his friend and mentor John Simkins, founder of the Canadian Peony Society. Only one of the trio survived. A Canadian Fruit Inspection Agency ban on importing rooted plants from China because of an infection makes it impossible to import them directly. Tree peonies are usually sold only in spring. “I don't understand why,” says John, who recommends planting them in mid-September. Install bare-rooted specimens as soon as you get them. But, if they're in containers and potted carefully, you can plant them in spring, says John. “The Chinese traditionally plant herbaceous peonies on the 15th day of the seventh lunar month-mid-August-and tree peonies on the 15th day of the eighth lunar month-mid-September,” he says. Both herbaceous and tree peonies (which grow on woody stems to a height of one metre or more) revel in climates with cold, snowy winters and are hardy to Zone 3. John leaves most of his out in the open without protection but mulches any that are not deeply planted (i.e., you can see their roots) with a 10-centimetre-deep mixture of soil and manure. John is starting to propagate known tree peony cultivars from China, experimenting with seeds, division and grafting. He hopes to build a small hobby business for other people who would like to grow his seedlings in their backyards instead of depending on foreign imports for selection. So what began as a form of therapy for John has not only become a positive obsession but may also benefit other tree peony lovers. Place each tree peony in a hole that's 60 centimetres deep by 60 centimetres wide. Put a handful of bone meal in the hole and plant the bud union 10 to 15 centimetres below the soil. Fertilize with compost or mix and enrich them with additional bone meal. Firm the soil and water well. Plant them at least 1.2 metres apart. When John Tai visited China, he discovered that tree peonies will grow in just about any soil as long as it's not waterlogged; slightly acidic or neutral soil is best.